Sprouts provide the highest amount of vitamins, minerals, proteins and enzymes of any food per unit of calorie. They also contain significant amounts of vitamins A, C, and D, fiber, protein, calcium, potassium, iron, and fiber. They are also void of fat or cholesterol. 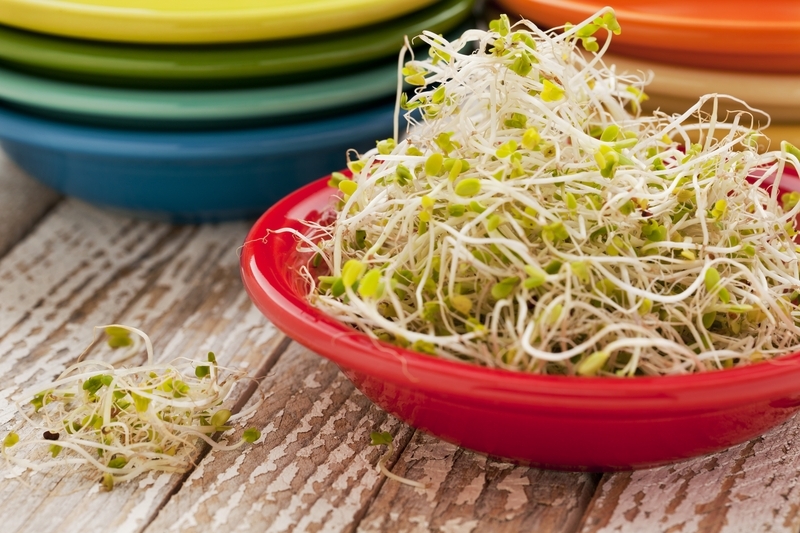 Rich in enzymes, sprouts are also easily digested and a fantastic way to add raw foods to your diet. Sprouting is easy and very cost-effective to do at home!